Our Catholic ancestors left us many collections of records to aid us in our search for family history, not to mention lots of culture and history to go along with them. If you are researching Catholic roots, I'm sure you have a beginning understanding of the importance of Catholic sacramental records. Baptism and marriage records, in particular, are among the first of our ancestors' documents that we collect. They provide a wealth of information, allowing us to confirm names and family connections, link generations, and gain insight into important milestones in the lives of those who have gone before us. In many countries, Catholic sacramental registries often served as both religious and civil records. In these cases, they may be the only evidence available to provide clues into the lives of generations passed. Yet, there is so much more to Catholic genealogical research. Church records (which take many forms beyond parish sacramental registries) and other Catholic resources offer a huge, often untapped resource. After much research into this topic, I have created a Catholic Genealogy QuickGuide™ in partnership with Legacy Family Tree (and now available in two formats). 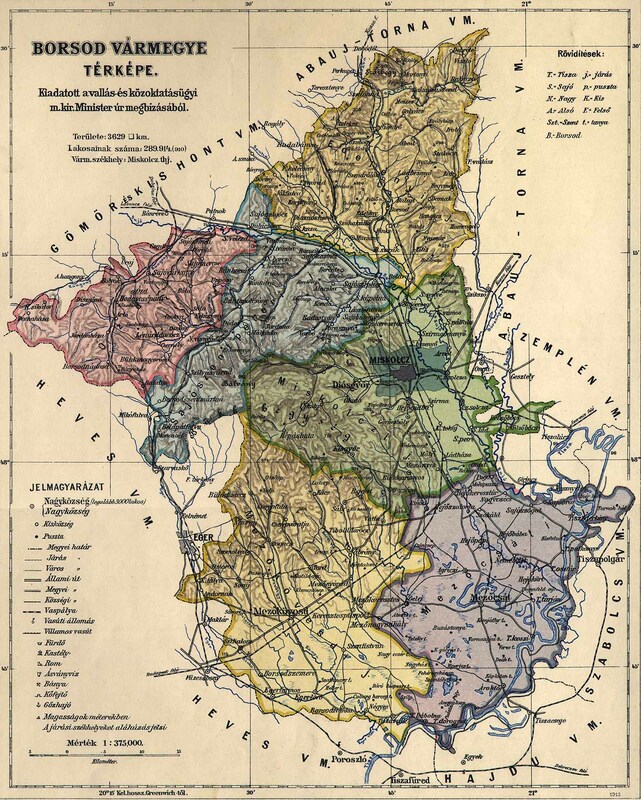 I have perused all the published resources on the topic that I could find, done my own personal research using Catholic records, and put together an introduction to Catholic genealogy that I hope will provide help to both the beginning and experienced researcher. 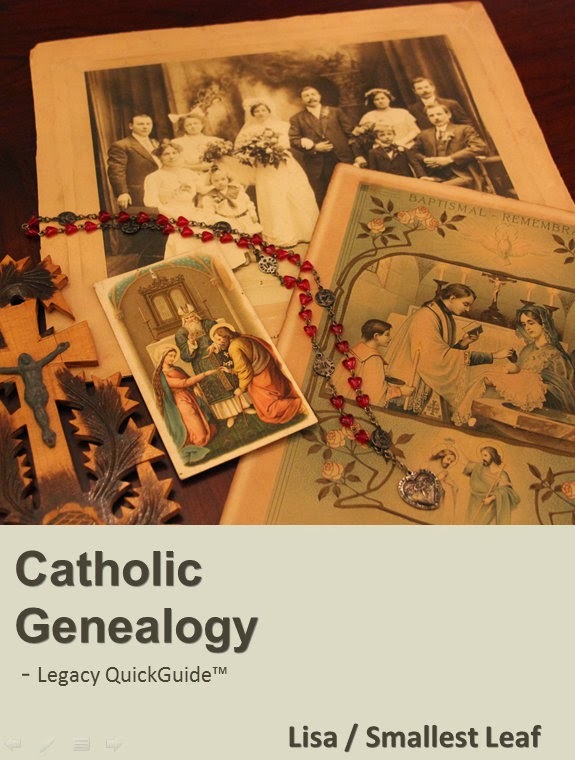 There is much more to Catholic genealogy than just sacramental records. 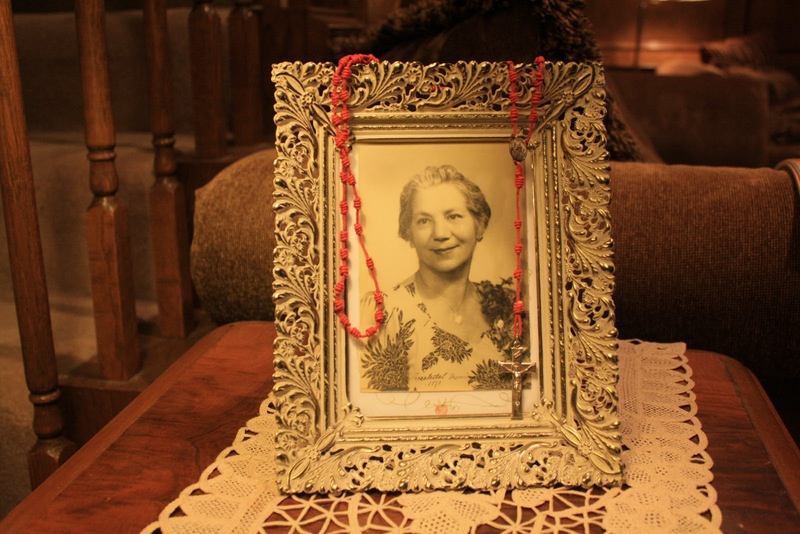 their lives through important milestones painstakingly recorded by the church. 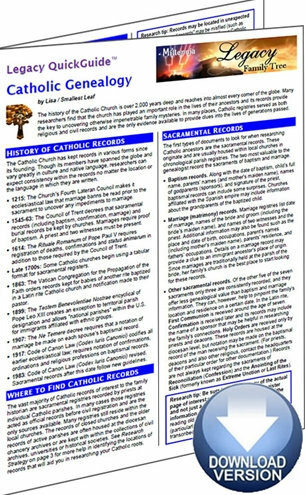 My Catholic Genealogy QuickGuide™ contains descriptions of the history and types of Catholic records, what value they provide to the researcher, and where to find them. It offers a guide to assist you in following your ancestors' paper trails, and lists books, periodicals and online resources for help in researching Catholic roots in general and in understanding special topics related to specific ethnic groups and parts of the world. I've also provided some help in getting started with Latin language record translation. It is now available in two formats. 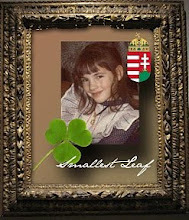 The first: as a PDF download directly from the Legacy Family Tree website. The second: as a Kindle eBook available through Amazon. I personally prefer the PDF version of the guide. 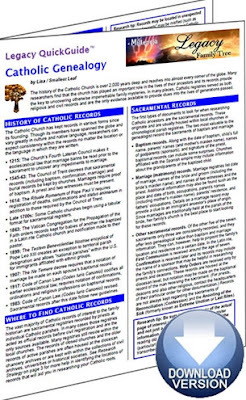 They both have the same content, but the Catholic Genealogy PDF download purchasable directly from the Legacy Family Tree website is more concise visually and laid out not only for a quick first reading but for easy review when in the midst of research. 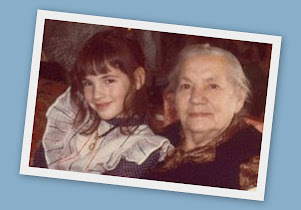 If you have Catholic ancestors, I hope you'll allow me to share what I've learned with you. It is my hope that I can help you begin to understand the wealth of resources available to you in your search for Catholic roots! 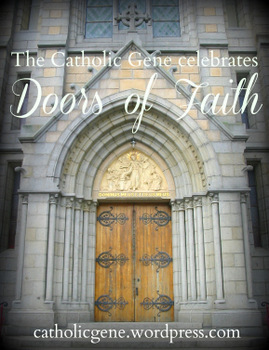 If you are interested in how the Catholic faith ties into family history, take some time to make a visit to The Catholic Gene. If you have a Catholic genealogy story to share or ideas for articles on the subject, please let me know! We'd love to feature your story or ideas within a future article.